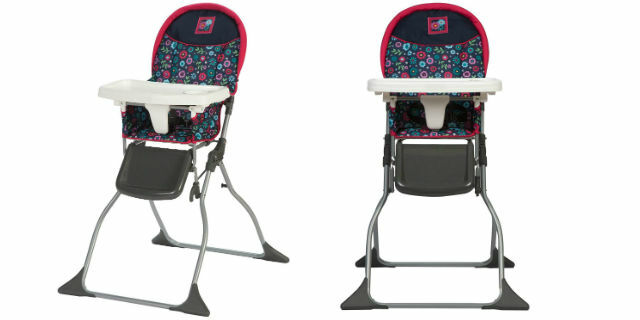 Cosco Simple Fold High Chair Only $28.00 Shipped! You need this easy-to-use high chair! Definitely a must-have for your little one! Get a Cosco Simple Fold High Chair for just $28.00 at Amazon Normally $45.55! The best thing about this high chair is how light and easy to transport it is. Clean up after your kiddo with the easy-wipe seat and wipeable seat pad. Set it up and tear it down in just seconds. The 3-point harness will keep your baby safe while enjoying another delicious meal. When you’re done, just fold it flat and store it away as it stands on its own. I loved having one of these for our kids! It was especially useful when traveling to a friend’s house or to visit family. Easy to pack and take with you anywhere to ensure that your little one is comfy and able to eat. Hurry and grab this phenomenal deal before it sells out! Previous articleMen’s Croft & Barrow Polos ONLY $6.06 At Kohl’s!